Selected from the American Music Conference. 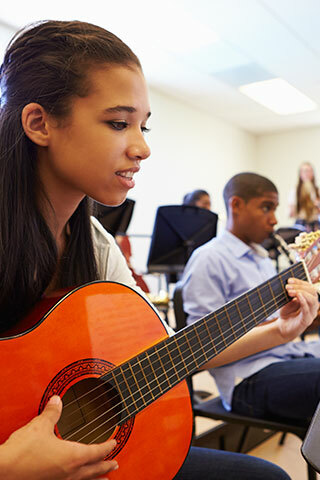 High school music students score higher on SATs in both verbal and math than their peers. In 2001, SAT takers with coursework/experience in music performance scored 57 points higher on the verbal portion of the test and 41 points higher on the math portion than students with no coursework/experience in the arts. Source: Profile of SAT and Achievement Test Takers, The College Board, compiled by Music Educators National Conference, 2001.